The retrenchment announced Tuesday is part of a cost-cutting campaign aimed at boosting Google's profits as the deepening recession eats away at Google's bread-and-butter business of selling ads on its own Web site and thousands of other Internet destinations. Emboldened by its online success, Google set out in November 2006 to help newspapers that have seen their revenue evaporate as more advertisers shifted their spending to the Internet to connect with the Web's growing audience. Under the program, potential advertisers were allowed to bid online to fill unsold space in the participating newspapers, leaving it up to publishers whether to accept the offers. But Mountain View, Calif.-based Google concluded that its online expertise wasn't paying off in print, prompting management to pull the plug on its newspaper program effective Feb. 28. The decision affects about 800 U.S. newspapers, up from the 50 publications that had initially enlisted Google's help. "While we hoped that print ads would create a new revenue stream for newspapers and produce more relevant advertising for consumers, the product has not created the impact that we - or our partners - wanted," Spencer Spinnell, Google's director of the program, wrote in a Tuesday blog posting. Without providing specifics, Google pledged to help newspaper publishers find other ways to make more money, presumably by driving more traffic to their Web sites and helping them sell more Internet ads. But Google may be hard pressed to address newspapers' biggest problem: Internet ads simply do not generate as much revenue as print ads. Yahoo Inc., which runs the second-largest Internet marketing network behind Google's, has been trying to help newspapers sell more online ads for the past two years. Unlike Google, Yahoo never strayed into the print side. Nearly 800 papers currently belong to Yahoo's advertising consortium and more than 30 of those publishers are testing a new platform that the company believes will make it easier to target specific ads at Web surfers mostly likely to be interested in seeing the messages. Google's retreat from newspaper print ads is a "non-factor" in Yahoo's relationship with the industry's publishers, said Lem Lloyd, a vice president of Yahoo's U.S. partnerships. Although it's abandoning the print medium, Google is still trying to sell ads in radio and on television. Those ambitions haven't paid off yet either. Online ads account for nearly of the company's revenue, which totaled about $20 billion last year. 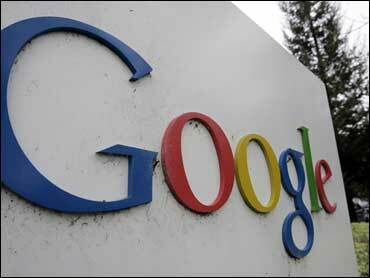 Google is scheduled to release its final financial figures for 2008 on Thursday. With the economy mired in its longest recession since the early 1980s, Google has been curtailing employee perquisites, scrapping little-used products and even jettisoning some workers after a five-year hiring spree. After letting go an unspecified number of temporary workers late last year, Google last week decided it no longer needed about 100 of its employee recruiters. Although it only affected a sliver of Google's 20,100-employee payroll, the cuts were symbolically important because it marked the first time the company resorted to mass layoffs that weren't triggered by an acquisition. Google shares fell $16.92, or 5.7 percent, to close Tuesday at $282.75.